Armillary coins take their name from the armillary sphere, a model globe split along longitude and latitude, invented by Eratosthenes circa 200 B.C. This 1 oz .9999 fine Gold coin combines the trusted Valcambi name with a unique, one-of-a-kind design. Four 1/4 oz rings come in a sealed protective assay package. 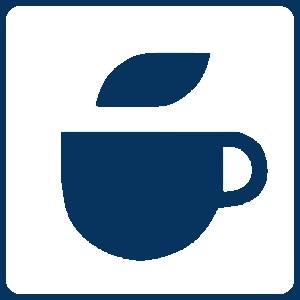 Assay card lists weight, purity and authentication by certified assayer. 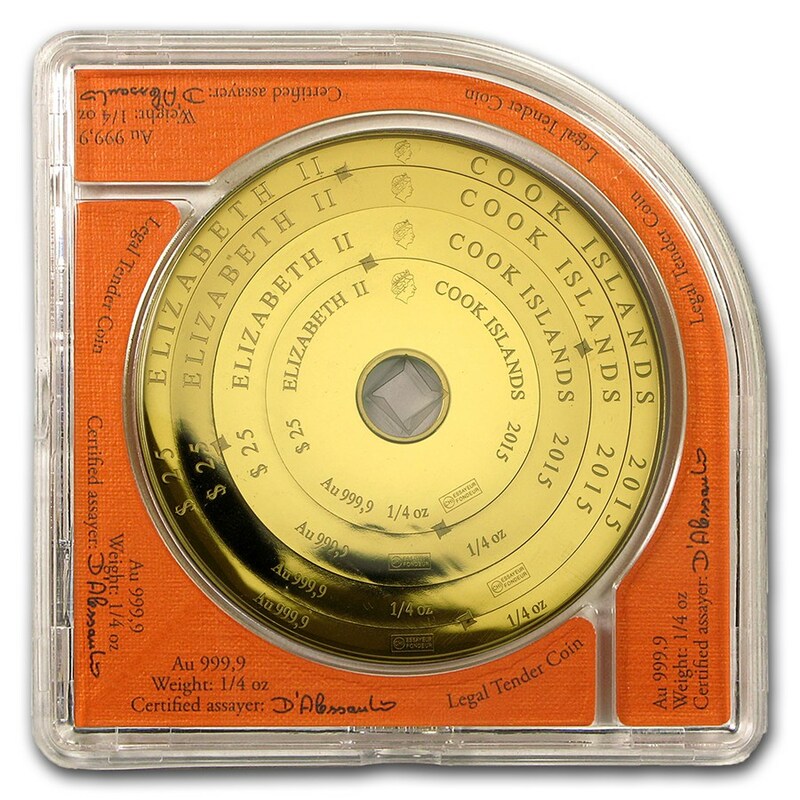 Obverse: Concentric rings each list "Elizabeth II" and "Cook Islands" along with the 2015 date, face value, weight and purity. 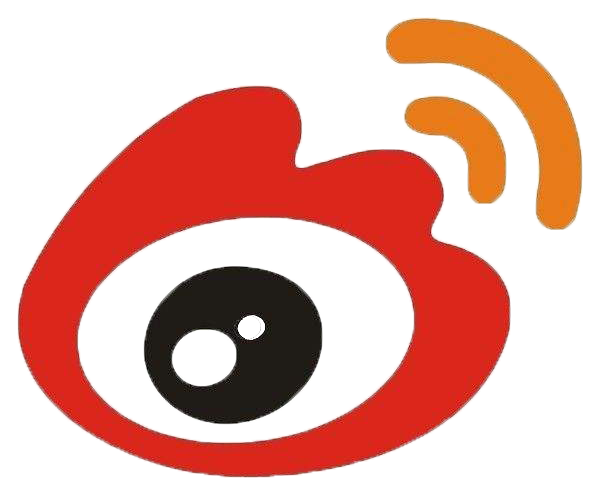 Reverse: Features the Valcambi name in script across all four rings. 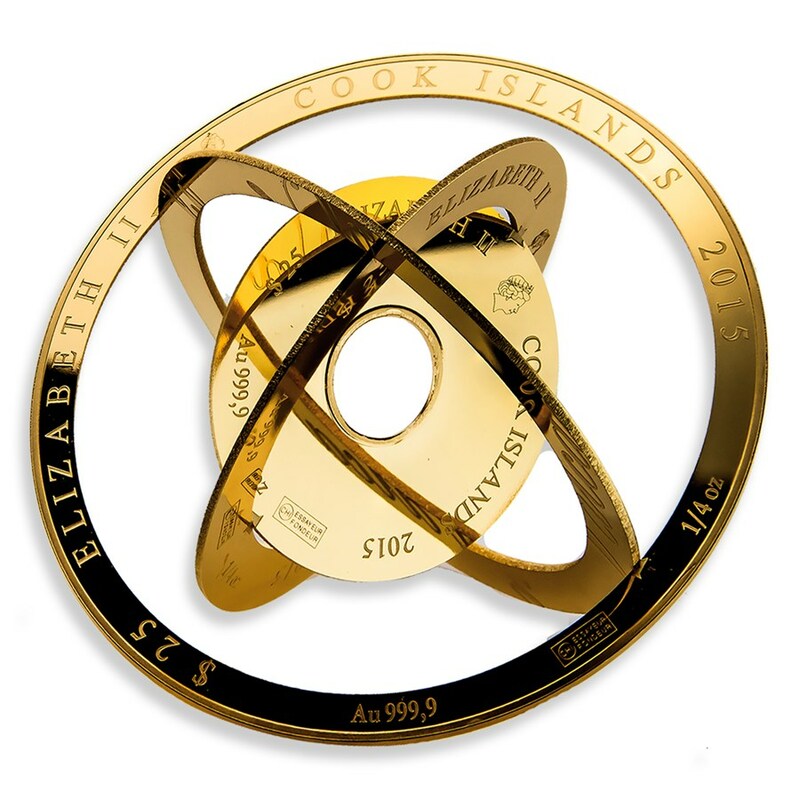 Sovereign $100 coin backed by the Cook Islands. 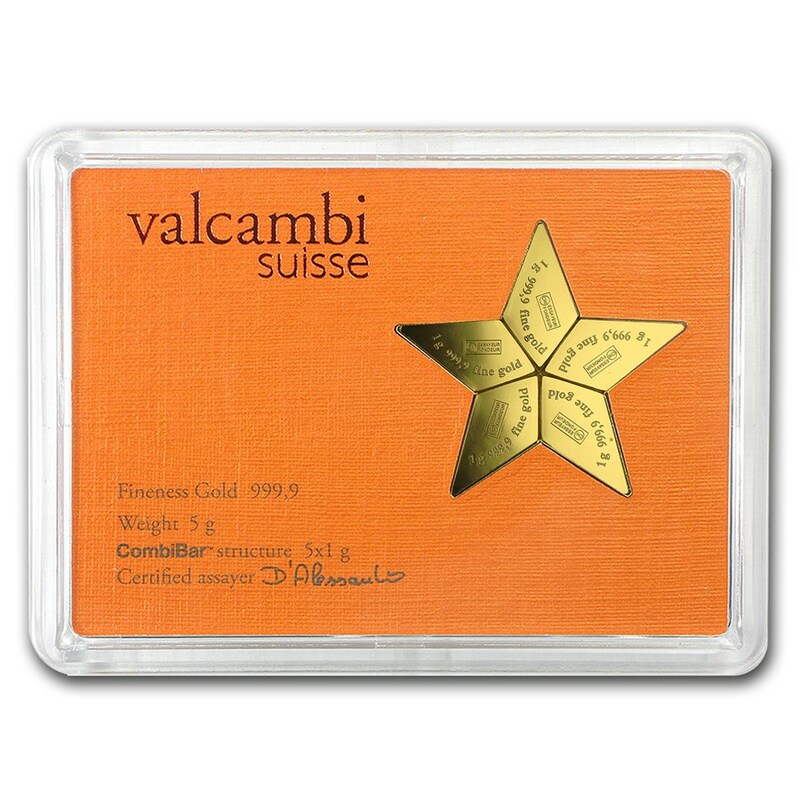 Valcambi is known for producing high-quality Gold products, and this unique coin is no different. Add this unique 1 oz Gold Armillary Coin to your cart today! Upon first glance, this 1 oz Gold coin looks like any other Gold coin. However, upon removal from the assay package, the coin can be twisted into a beautiful shape resembling an armillary sphere. 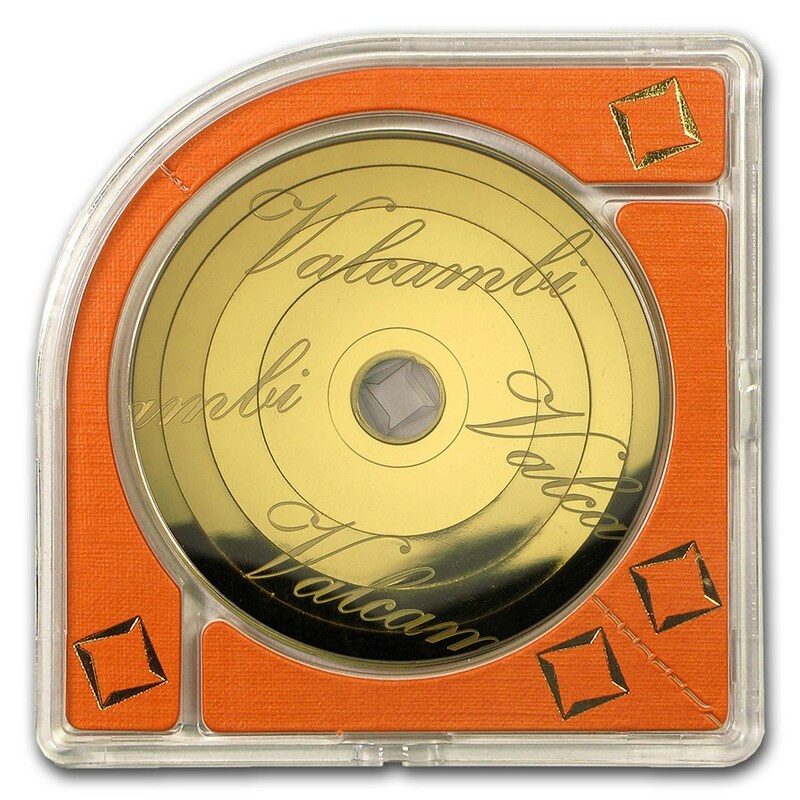 This exquisite Gold coin also features Valcambi's CombiBar™ technology, meaning each ring can be separated to create an even more unique experience.